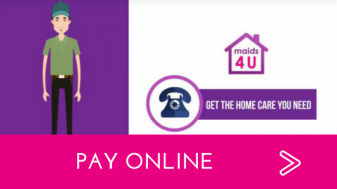 At maids4U we understand you have a wide range of choices of supplier and we also understand that we will not be suitable for everyone, so what is it that makes us different? Local family run business – living and working in the area we understand the importance of our reputation. We don’t let our customers down! Work in teams of two for security and safety – we can move furniture, work at heights and do the jobs others can’t. Peer checks of each room then Team Leaders check the job at the end. Our responsiveness is second to none – we guarantee a response within 24 hours to all customer service requests. We recognise that we are not the lowest price provider and we don’t want to be. If you are focused on hourly rates we are probably not the best choice for you. Instead we offer a cost effective, results based solution. We don’t clock watch and we won’t cut corners because no matter what you are paying for your cleaning service it needs to be right.